A few things still stand in the way, but most people globally say that virtual and augmented reality ultimately will become as popular as smartphones. The main reason for not having tried VR or AR is the lack of opportunity, based on a new study. However, consumers have high expectations for virtual and augmented reality, with more than half (55%) expecting it to become as popular as smartphones in years to come. The study comprised interviews of 16,000 consumers who have heard about virtual or augmented reality in Australia, Brazil, China, Germany, Japan, The Netherlands, United States and United Kingdom. The study was conducted by research company Opinium for the payments company Worldpay. While gaming is currently a common use for virtual reality, it’s near the bottom of the list of desired activities. 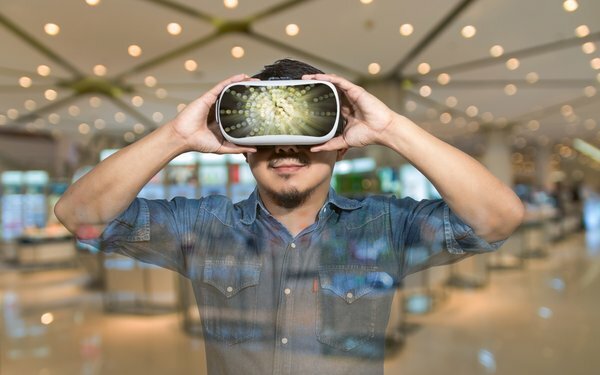 While those are the reasons consumers haven’t jumped onto the VR/AR bandwagon, there are other barriers consumers see to using virtual reality or augmented reality for buying products and services. Most (61%) cite the high cost of devices, 44% are concerned with security of payment details and 22% say they would look funny wearing a headset. On the upside, the top reason for using VR or AR to make purchases is that it would save time by not having to go to a store and consumers would insure they get the right product because they could check if clothes fit and how they look before making the purchase. Retailers in the U.S. should take note: the majority (54%) of U.S. consumers said they want to use VR/AR technology in physical stores and 59% want to see it used in shopping apps, reporting it as a more fun way of shopping. In the 25 to 34-year-old age group, those numbers shoot to 72% and 78%, respectively.